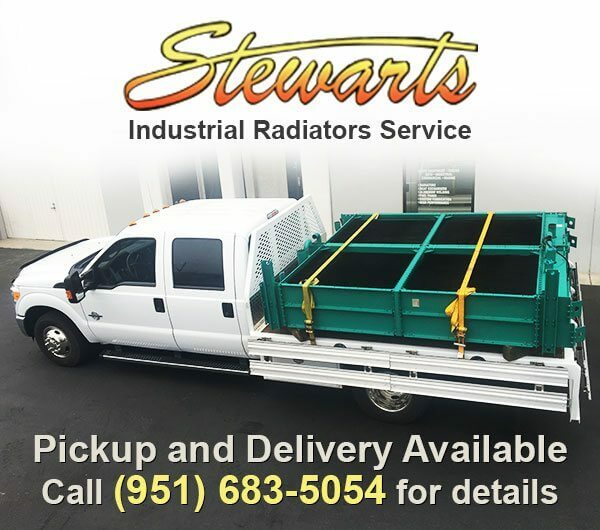 Stewarts Industrial Radiator Service is a privately-owned radiator shop that has provided high-quality, competitively priced radiator services since 2007. 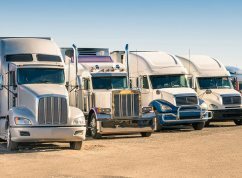 Our radiator specialists bring more than 47 years of experience working on medium to heavy duty radiators for big rigs, tractors, off-highway trucks, classic cars, hot rods, RVs, boats, industrial machinery, and standby generators. We are a full-service radiator shop able to repair, rebuild, retrofit, and replace nearly any make or model of radiator, air cooler, heat exchanger, or other engine cooling system component. 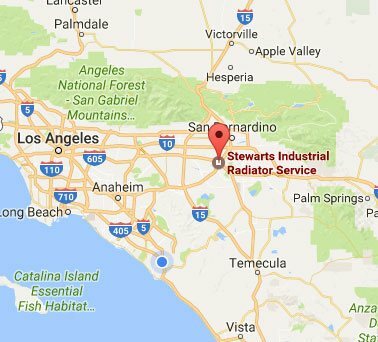 Our thousands of satisfied clients throughout Riverside, San Bernardino, Hesperia, Rialto, Apple Valley, Los Angeles, Fontana, and surrounding areas are a testament to our exceptional radiator services, prompt turnaround times, and fair prices. At Stewarts Radiator, our goal is to provide quality workmanship on every radiator service we provide. Generally, a radiator needs to be repaired, rebuilt, or replaced as soon as it starts to leak fluid or is unable to cool your engine sufficiently. For radiators with physical damage, such as cracks, punctures, and broken joints, our expert technician can repair your radiator. We offer weld repairs for copper, brass, and aluminum radiators. If the radiator has become clogged from internal corrosion, we'll recommend an overhaul. During an overhaul or radiator rebuild, we take the radiator apart, flush out the core, rod out the tubes, straighten the fins, pressure test, and paint. If the radiator core or tank are no longer repairable, a new custom core can be fitted to your application to match OEM specs. 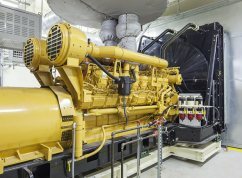 Additionally, we sell OEM and OEE radiators and radiator parts as well as fabricate new metal radiators for custom cars, diesel repower conversions, motorhomes, off-highway machinery, forklifts, and other diesel engine equipment. 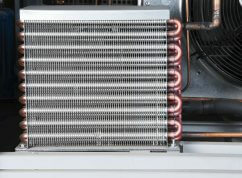 Your radiator plays a crucial role in the performance and longevity of your engine. With Stewarts Industrial Radiator Service, you can be confident that a highly experienced, qualified professional tech will inspect your radiator and provide you with a cost-effective, reliable solution that fits your needs. 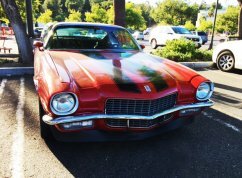 Whether you have a leaking radiator or an overheating engine, call or stop by our locally owned radiator shop in Riverside. We're open Monday through Friday, between 7am and 5pm, and offer free estimates. We have same-day service available on most radiator repairs, and prompt turnaround times on radiator retrofits, rebuilds, and custom fabrication. We can also provide pickup and delivery for contractors and commercial clients. Call up looking for top tank on radiator. He explained he could do it for me at a fairly cheep price. Then he suggested call another auto parts store because by the time he changed the tank you would probably need a new radiator in 6 month any way. He said save your self the head ache by new. There are honest people out there.